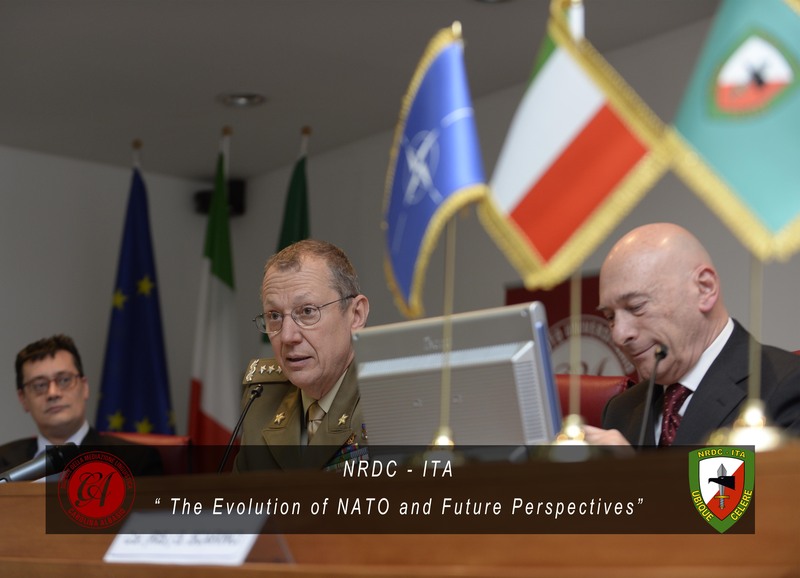 “The evolution of NATO and future perspectives”. 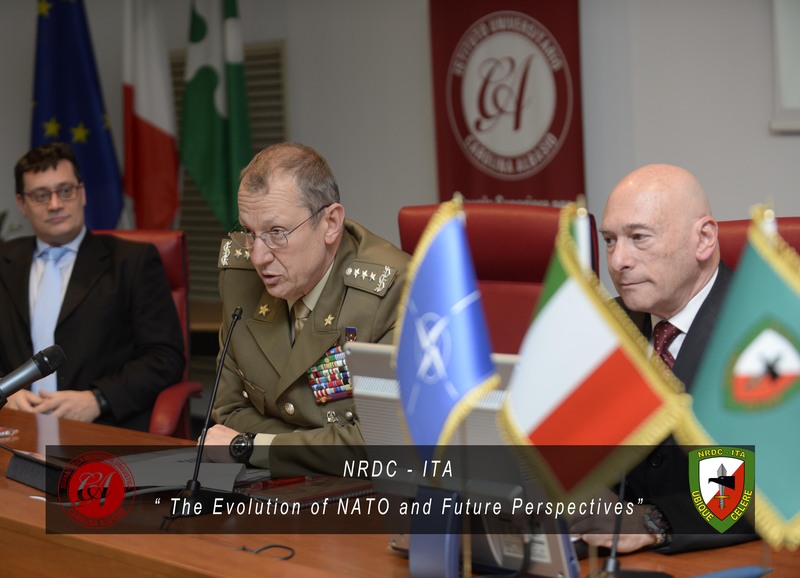 This is the topic addressed today by Lieutenant General Riccardo Marchiò, NATO Rapid Deployable Corps-Italy Commander, at the “Carolina Albasio” University. 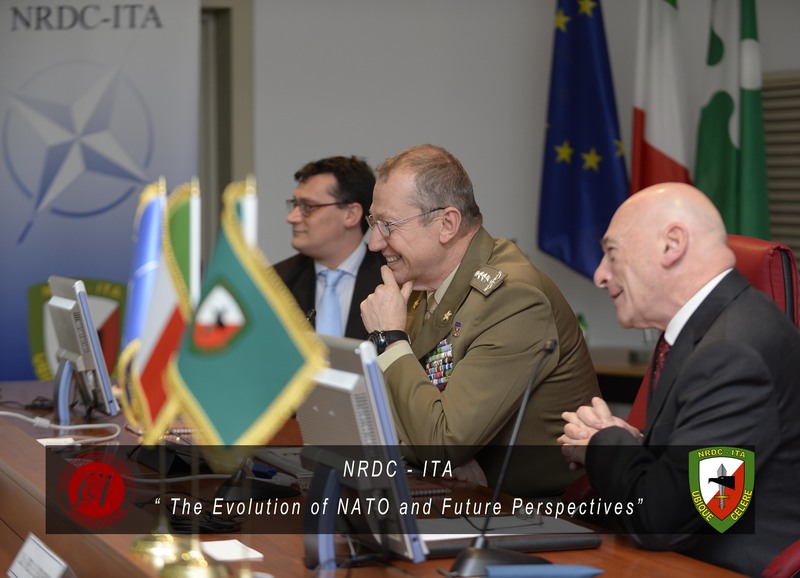 The conference was organized by the “Amici Valle Olona della caserma Ugo Mara” Association, an organization aimed at maintaining and increasing its collaboration with NRDC-ITA in order to create a better understating of the NATO Headquarters among the local population. NRDC-ITA usually works in close cooperation with local Universities and Institutions, to confirm and increase the synergistic relationship that has always characterized the “Ugo Mara barracks and its surroundings.